How to keep warm in a tent? SoundAsleep Dream Series Air Mattress. Stansport Self Inflating Air Mattress. Intex Classic Downy Airbed Set. PS: The sleeping bag is very important, so, when you buy it, please ensure you get one meet the conditions you are need it for. Try to use the guide when you purchase a blanket to make sure that it is the style best suited for your needs. Consider about materials, weather, or weight. They have a wide variety of shapes and styles. Check in with Puffy Blankets, throw Blankets and Folding Blanket. They are often the preferred choice. It is generally made of extremely durable materials. A ground blanket is a next thing to add to your tent. You will lay this blanket flat on the floor to protect the floor and to provide the first layer of comfort from the cold ground. Fleece or wool are materials preferable. Knit hat or knit cap is designed to provide warmth in cold weather. It is very helpful in winter. Most people like seaman, hunters or campers wear knit hat when they work in out doors. Socks are the same with knit hat, they protect your foot in winter. So far, Knit hat and socks are gears have to inside your backpack for camping in cold weather. Do not forget! In winter, we need to keep our clothes, sleeping bags and sleeping mattresses are dry when we are camping. They are the keys to be comfortable and can make all the difference. What’s on your list now? 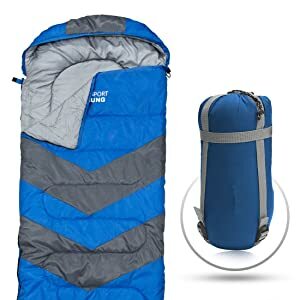 Sleeping bag, sleeping mattresses, tent, warm clothes, etc. 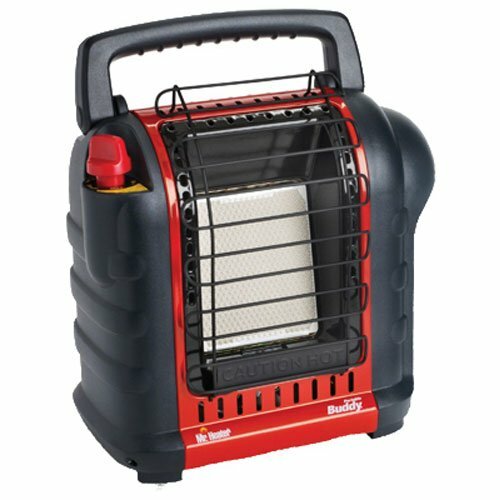 But, if you are still cold, you get active to get warm, or you might want to try an electric camping heater Mr. Heater Portable Buddy – the new standard for portable radiant heating comfort. Why we offer this name? It is low-oxygen shut-off and tip-over safety shut-off systems, Mr. Heater provides safe, reliable heat anytime, anywhere. If you wonder how much heat do you need? Which size is suited for you?….You can visit here. There is a varies way to keep warm on your camping trip. But here we recommend you should use hot coal and hot rock.What does it work? We have a look right now. By spending a lot of money protecting our member from the weather cold, we can also use the rock with the easy way to set up, the only thing you can do is putting rocks around your fire, hot rocks will retain thermal energy for hours after you take them away from the fire. That’s all? Nope, you should find out more to know how are going to use them on the professional site with hot rocks, they will give you direction. Similar to hot rocks, we use fire to burn down to coals then transfer some of the coals to a new fire pit. Let’s find out more to make clear you get all exactly the direction. You’ll be warm! This is one of the favorite ways to get yourself warm in the tent. Filling a hot water bottle with hot water and putting it in the sleeping bag before we get in. Besides of hot water bottle, we should prepare a nice hot meal for dinner or we eat something like a high-energy snack- these foods will be used as fuel by your body during the night, helping with the warmth. Hopefully, these tips above might help you stay warm in the winter camping. By the way, we offer a short list, let’s read it! Keeping dry your clothes, sleeping bag, and sleeping mattresses is a big part of keeping warm. Be careful to choose the right camping spot and insulate your sleeping areas from the ground. Wear suitable clothing, always keep a hat and hot water bottle handy in your bag. Prepare your meal with plenty of calories and use hot drinks to warm up quickly- especially before bed.